St. Louis has club teams for almost all skill levels and interests. See below for details and contact information. ANY ACTIVITY ON THIS PAGE IS NOT RUN, ORGANIZED, OR INSURED THOUGH SLUA. THESE INDEPENDENT EVENTS ARE ORGANIZED BY PEOPLE IN OUR COMMUNITY. Castle is St. Louis' elite men's ultimate team. Every year, the team brings together some of the most athletic and skilled mens players in the St. Louis area. As a team/family, we emphasize Mutual Respect, Camaraderie, Competition, and of course, Spirit of the Game. For 2019 information, click here. 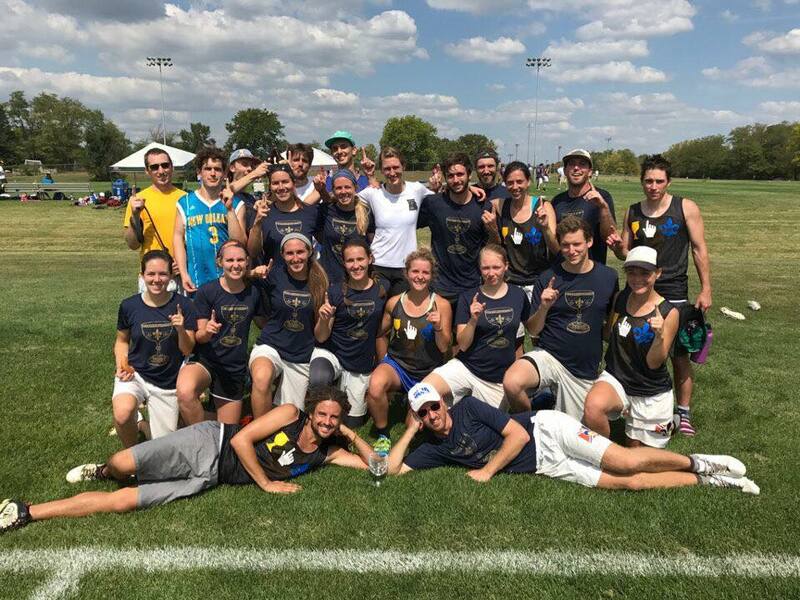 Chalice is a cohesive team - "good vibes, good ultimate"- looking for strong, experienced players with solid skills. We value commitment, adaptability, and externalizing positive energy. Ideal players are excited to adapt, improve, and grow with this team. STELLAR is a second year, competitive, club team looking to level up our game with Spirited, Dedicated, & open-minded womxn’s division eligible athletes. For 2019 information, click here. Are you ready to #LevelUp? Reach out to play with Filthy! After proving themselves to the the second best team in the state in 2017 and 2018, pARCHd maintains their secrecy and elusive nature. They value practice above performance, and pancakes above practice. Invite only team, no tryout. Sign up for our email list. Stay on top of league announcements, events, and more.